One of the major benefits of using the cloud is scalability. 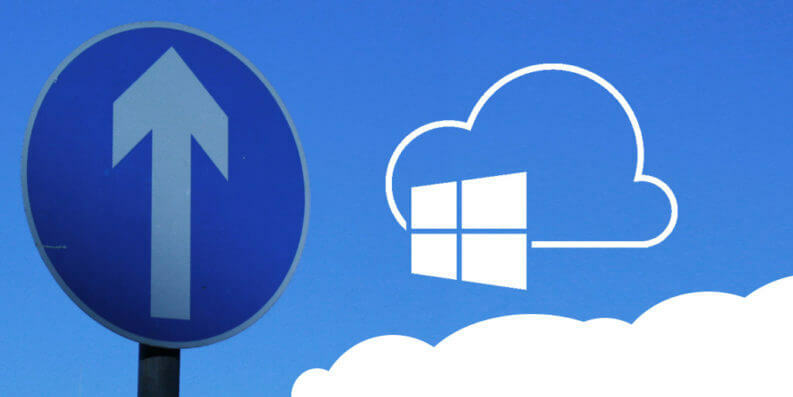 With Azure autoscaling, you can scale up and out like you couldn’t do with your own hardware, as much as your wallet allows. But more importantly, you can scale down and in when you don’t need the resources, thereby saving money. This is something you wouldn’t be able to do if you bought a bunch of servers to accommodate your peak load. Scaling out and in is different. When you scale out, you increase the number of hardware resources that the application runs on – you increase a number of instances. This could mean that instead of using 2 servers, you use 3. Scaling in is the opposite: you decrease the number of instances that your application runs on. 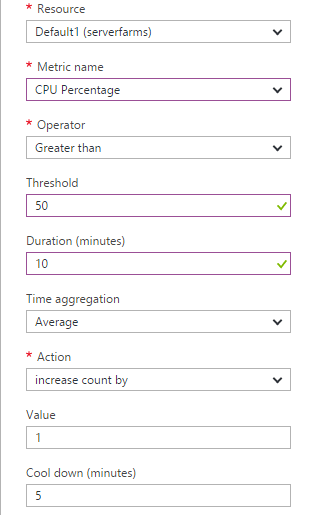 Scaling up or down is a manual operation, even when you use the Azure Rest API. Out-of-the-box, there is no capability to scale up or down based on a schedule or a metric, like CPU usage. If you want to automate that, you’d have to build that yourself, using the Rest API, or look into third-party tooling. I think that the reason why this isn’t an out-of-the-box functionality is because it would scale all Apps in the app service plan and that Microsoft feels that this should be a well-thought-out action. The simplest way of scaling instances is manually. You literally have a slider that lets you slide a number of instances up or down. 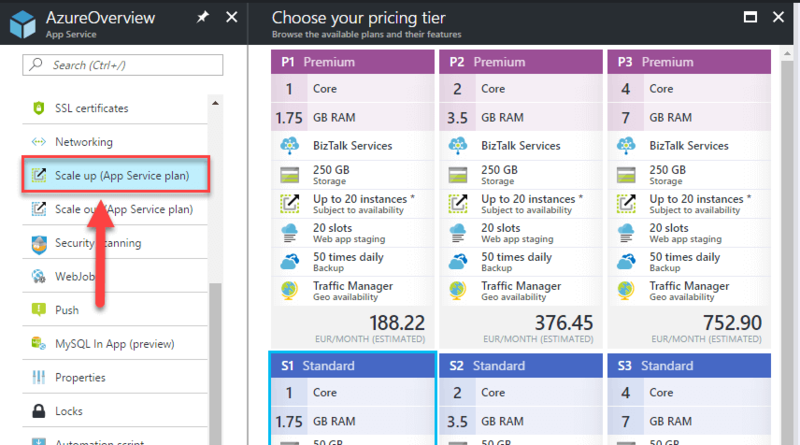 Azure provides the ability to scale for most of its services, not only App Services and Cloud Services. This is extremely useful for the availability, performance, and cost of your application. This is what makes the cloud a great tool to work with. You can scale to unimaginable amounts of resources and you can scale back when you don’t need them anymore.